Musical chord theory is one of the most important subject in the western musical theory; it is required in most of the music institutions’ entrance examination around the world. However, there are only a few teaching methods for students to learn and practice the chord theory; and the topic is primarily teaching in the classroom with lots of homework assigned. Many students have difficulties to learn this subject, and some have no choice but to seek private tutoring or even give up from music study. This game is designed to help player to learn musical chords. 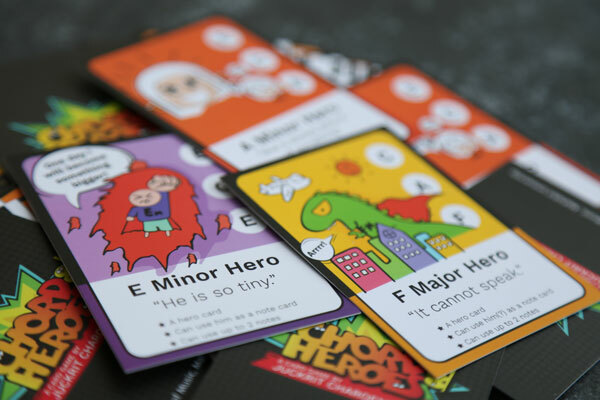 By using/playing the product, players will be able to understand the core structure of the chord theory and know how to spell chords in many different ways; and of course having fun while doing it. 1.) The game is an alternative learning tool for learning and practicing writing musical chords. 2.) The game can be used as a teaching tool without game playing. 3.) Requires no classroom and creates a positive competitive environment for 2-4 players to play together. 4.) The game is for both musicians and non-musicians and can all can play together. 5.) The product can be used to spell more than 144 different musical chords with more than 1,000 spelling variants. 6.) 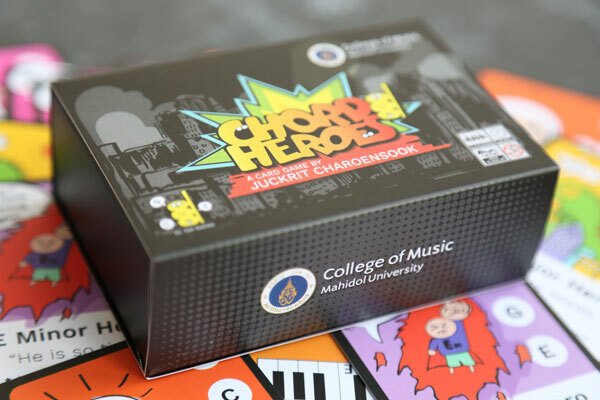 9 different cartoon characters originally designed by this game feature the characteristic of each basic musical chord; these characters help players to learn the structure of musical chords by visualizing the color and flavor of the sounds. The product has been selected to be presented to the prime minister of Thailand Prayut Chan-o-cha in the event “Innovation and Research Market: Universities Meet Consumers,” on July 20th 2017. Also the project has been selected to be presented in international conferences such as Southeast Asian Directors of Music [SEADOM] conference hosted in Yangon, Myanmar. More than 20 board game cafes (gathering places for board games lovers) across Thailand provide the product for players to play and purchase. The product is as well planned to be shipped globally in the near future. Many local and international music institutions have been using the product as a teaching method and/or a practicing tool for both instructors and students. There are more than 10 videos featuring the product on YouTube (from both first and third parties) that had accumulated more than 100,000 views. 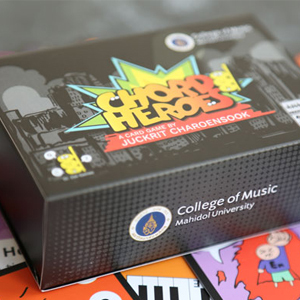 The “Chord Heroes” is a part of Dr.Zax Games, a brand created by Dr.Juckrit Charoensook based at College of Music, Mahidol University. Dr.Zax Games aims to become a leader of the alternative leaning/teaching tools [board games] in Thailand.